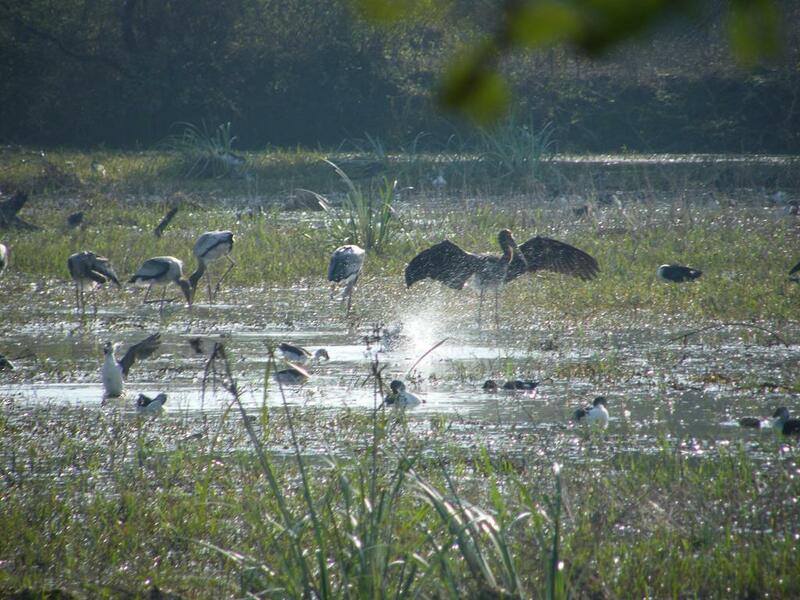 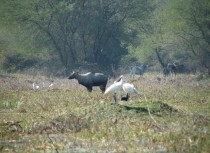 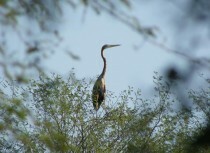 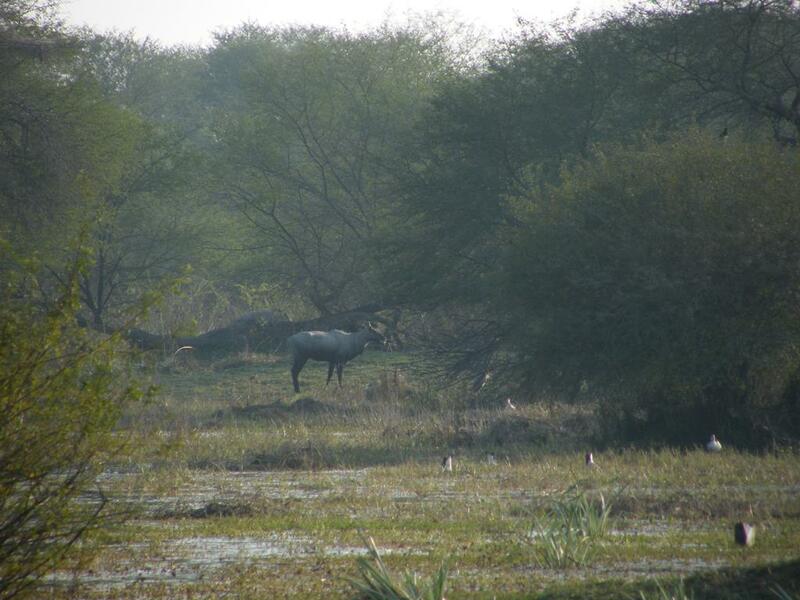 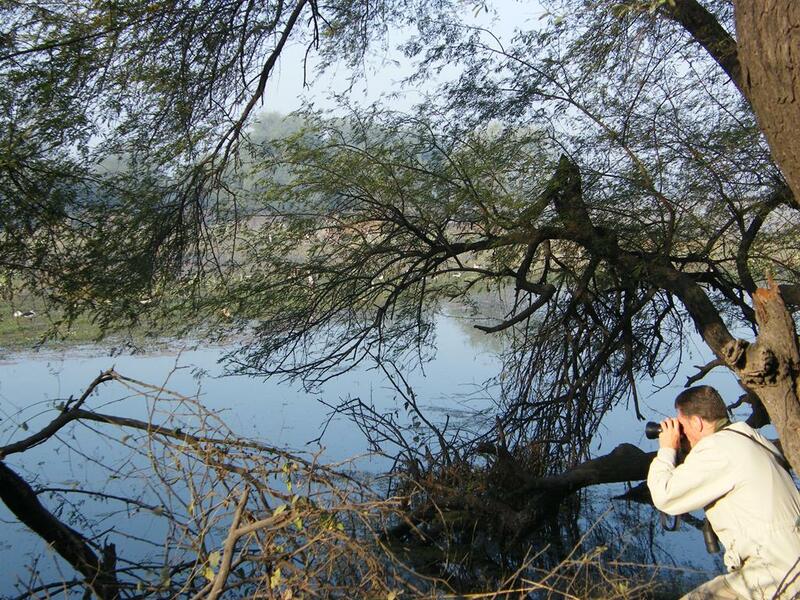 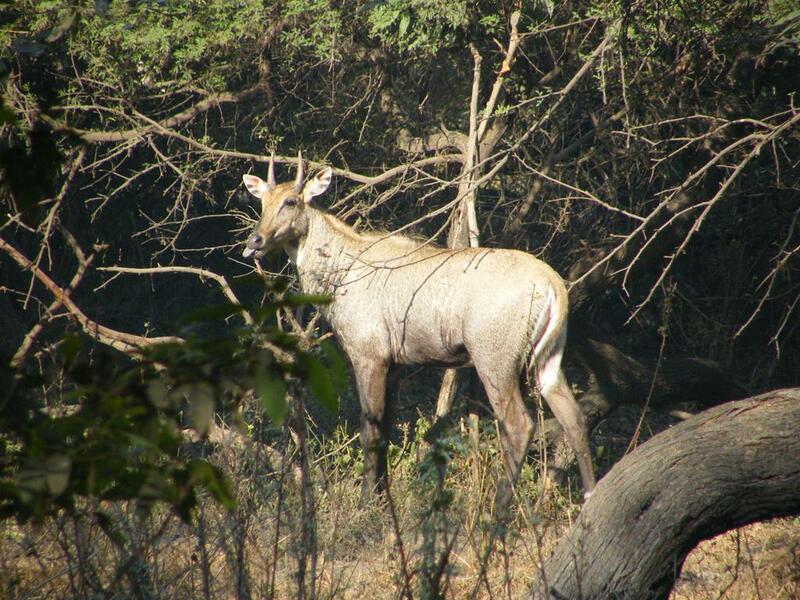 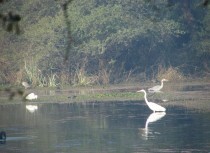 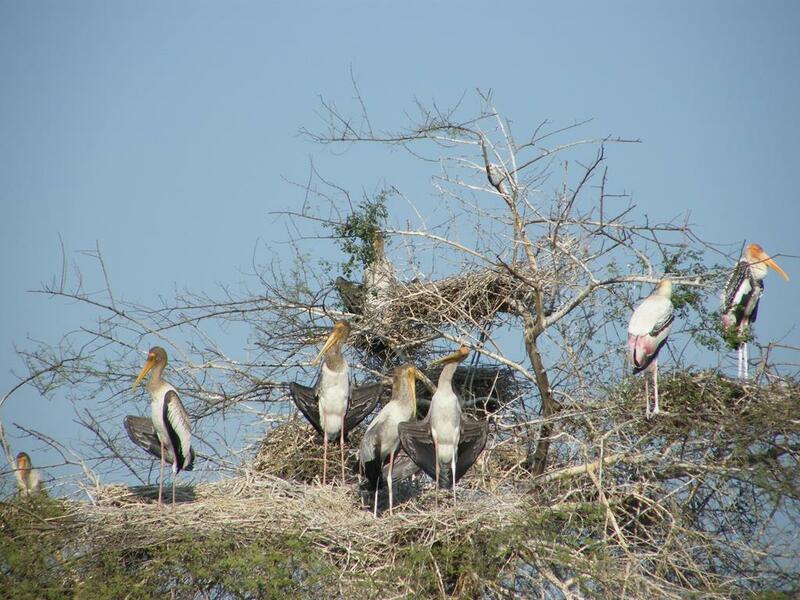 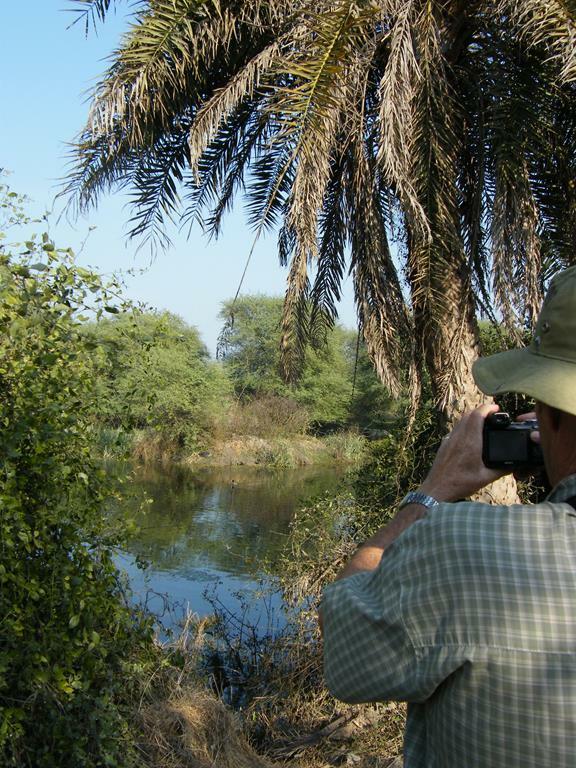 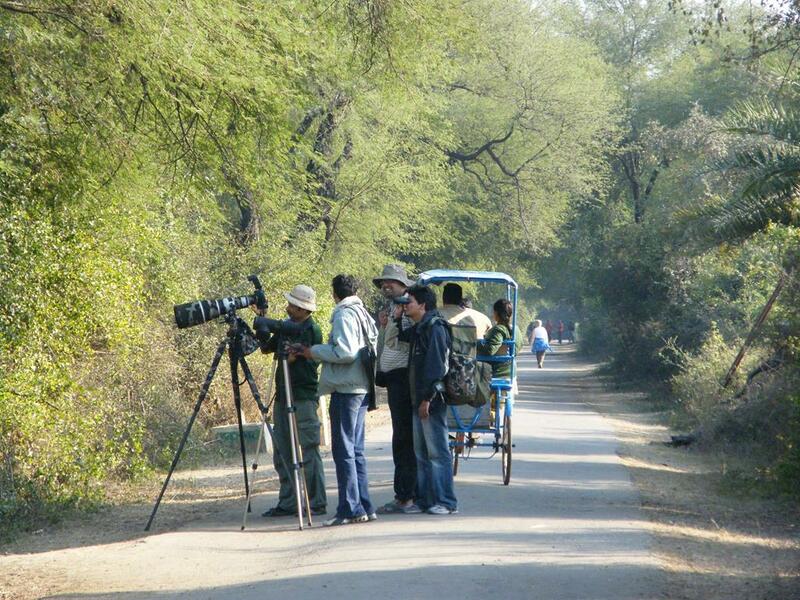 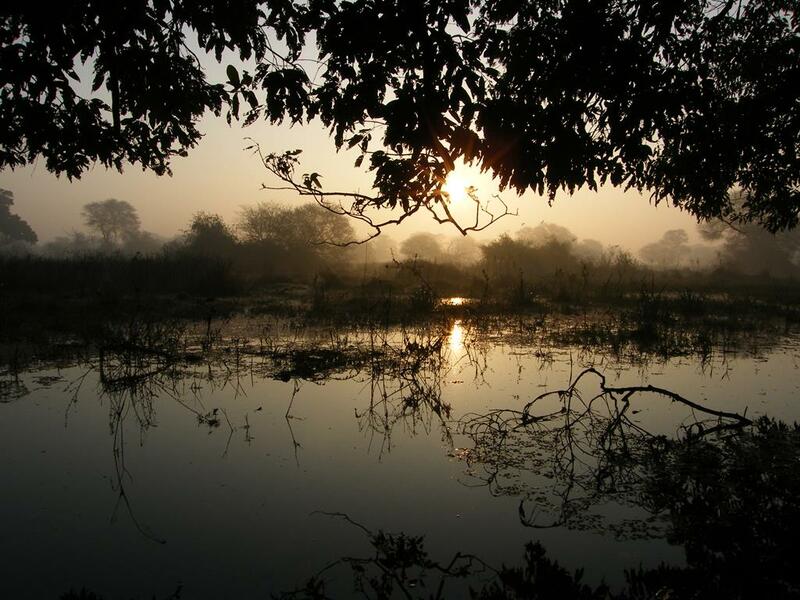 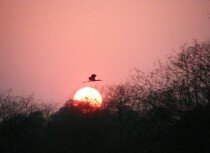 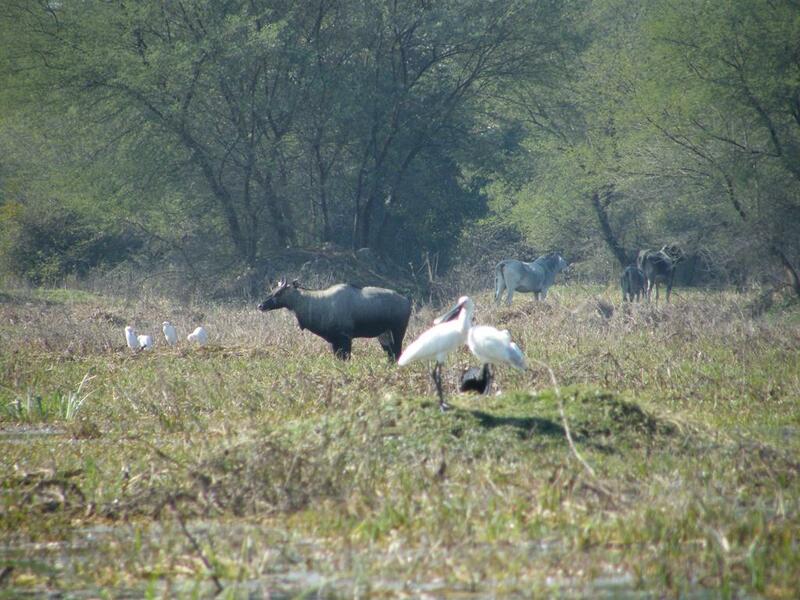 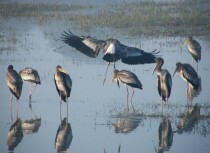 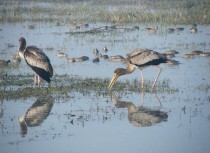 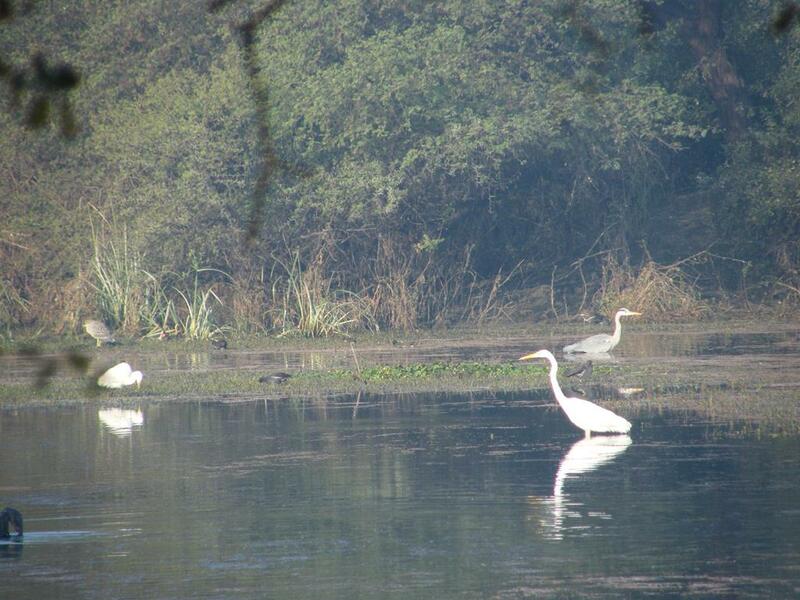 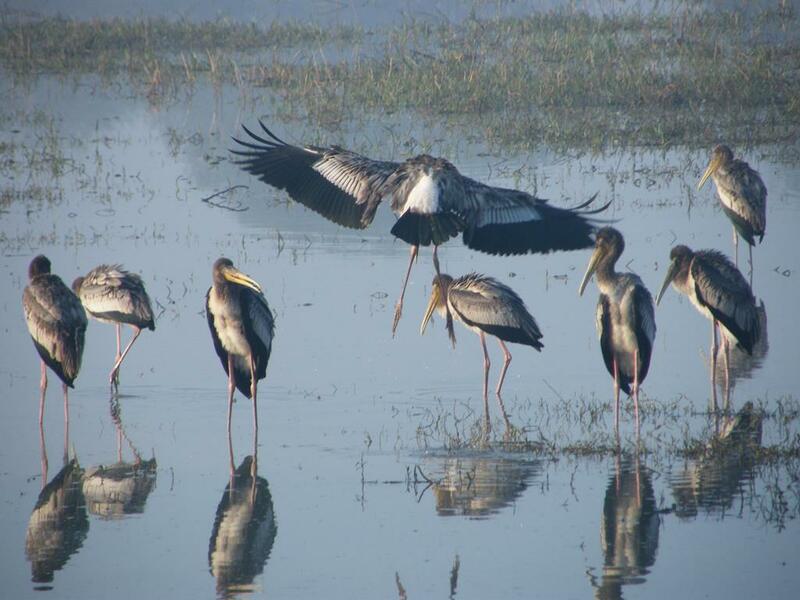 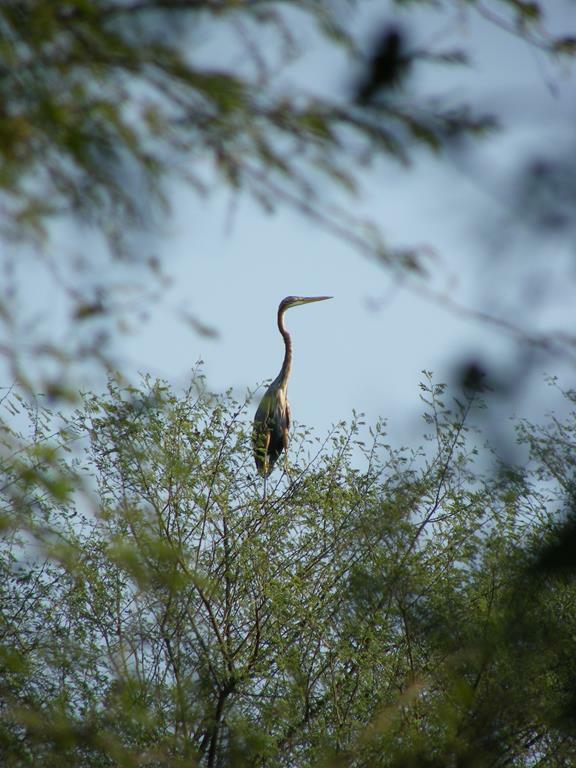 Popularly referred to as Bharatpur National Park but it is actually named the Keoladeo Ghana National Park. 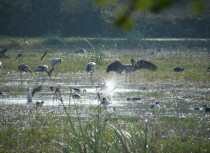 It is regarded as one of the world's most important bird sanctuaries on account of the huge variety of migrant wetland birds it attracts each winter. 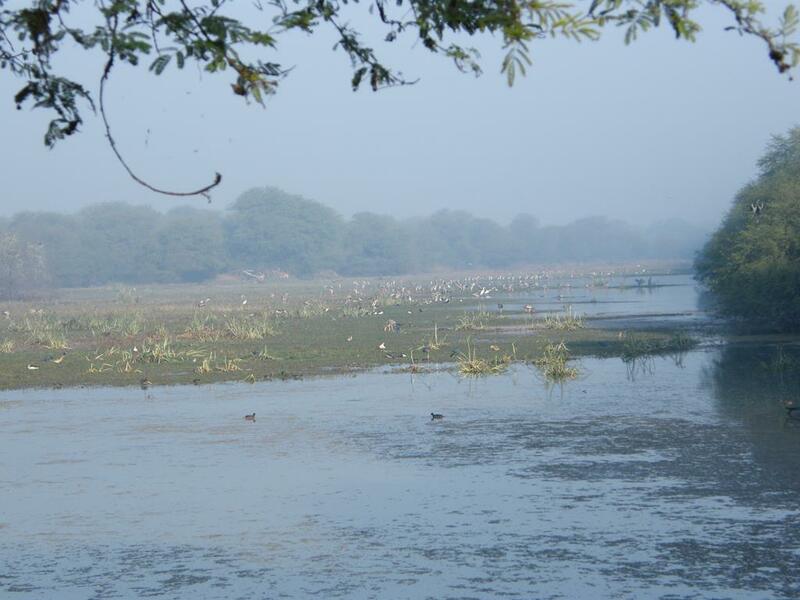 The Bharatpur National Park or bird sanctuary is the result of the Maharaja of Bharatpur who developed the area in the late 19th century. 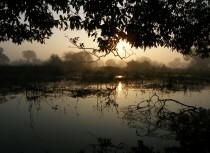 The area is a slight depression in the land and was originally scrub land. 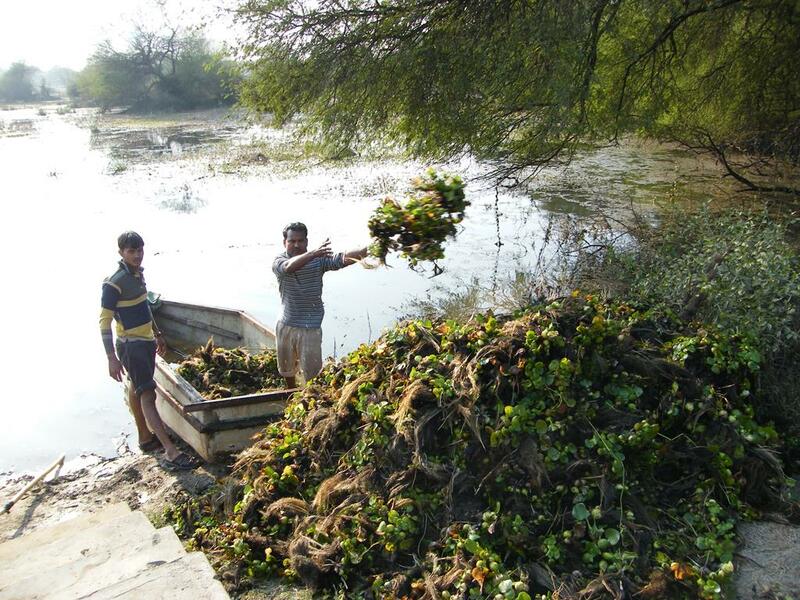 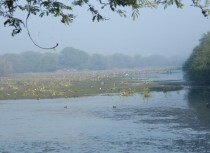 The Maharaja recognised the potential and diverted water from a nearby canal to flood the area. 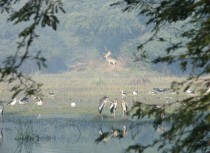 He also created small dams and shooting buts which established the site was the best wildfowl hunting site in north area, with a whole succession of Maharajas, Viceroys, Dukes, Generals and other dignitaries shooting vast numbers of birds here until 1964. 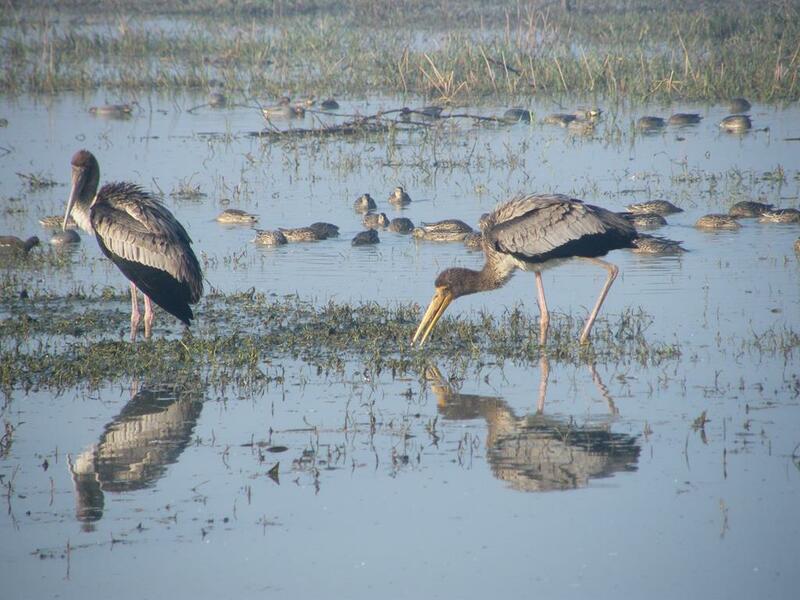 It was made into a bird sanctuary in 1956 and upgraded to full National Park status in 1981 in order to help control hundreds of domestic cattle, which still encroach into the park. 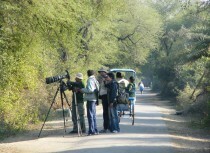 What we loved about the Bharatpur National Park is relatively small 29 square kilometers (11 square miles) and no more vehicles are allowed in the main section, although cycles and rickshaws are allowed on the tar road that runs down the centre of the park. 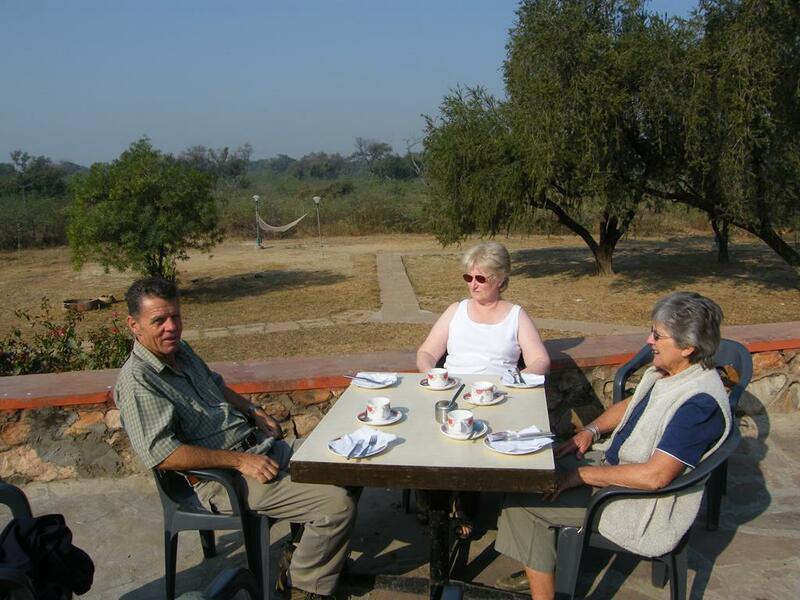 The Government run Forest lodge is situated in the park and is very well run - we really enjoyed staying here the staff were excellent, food was great. 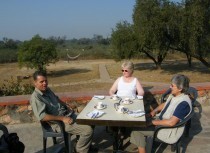 I have read reports that is is pricey, our opinion was that it was well worth what we paid to stay here. You are in the park so you just walk out the door at dawn and back in before 10am for breakfast. 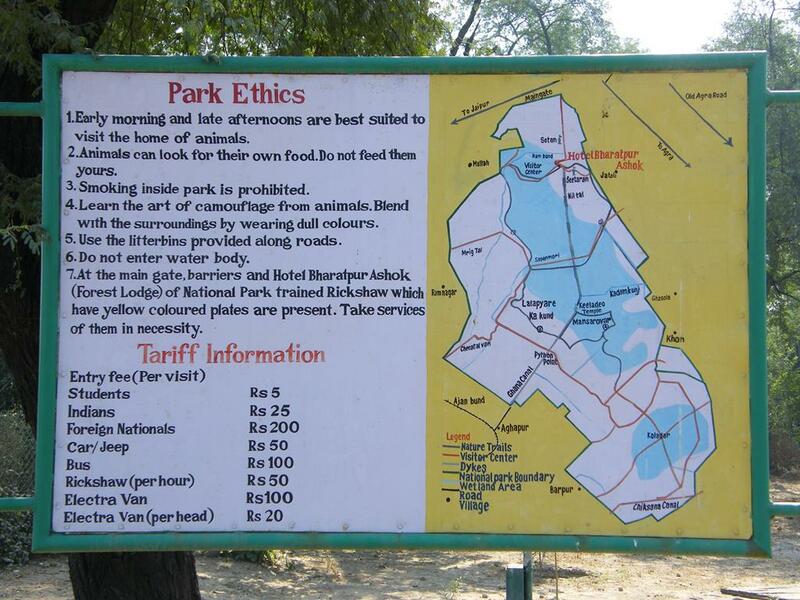 A word of warning - and that is the information tells you that you have to pay fees per person per visit. 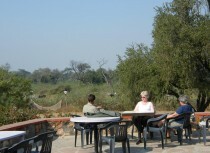 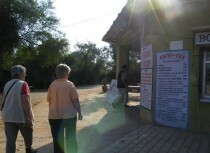 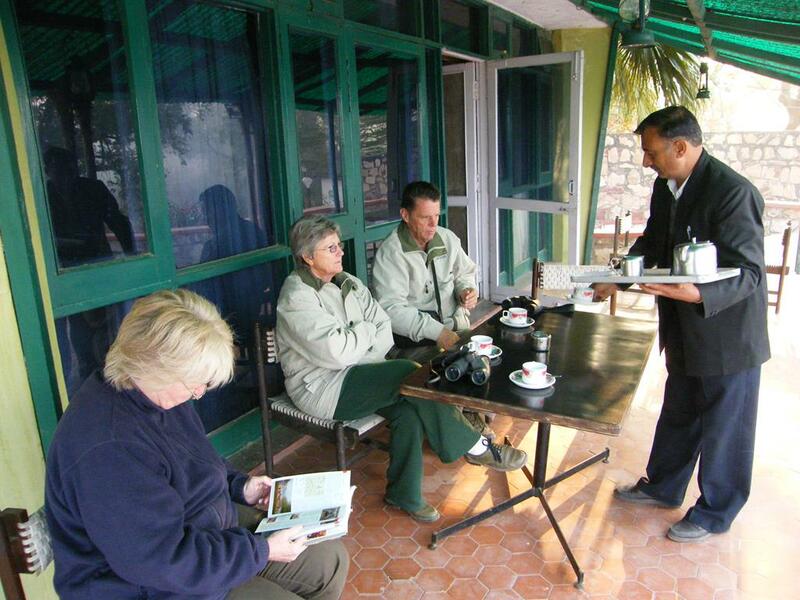 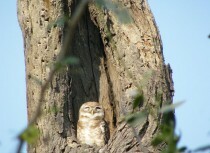 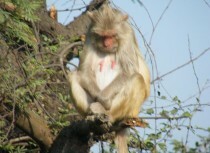 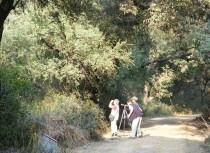 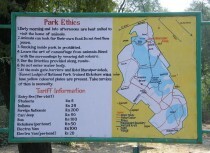 We were staying in the Bharatpur National Park for two nights and three days so assumed one set of fees were required. 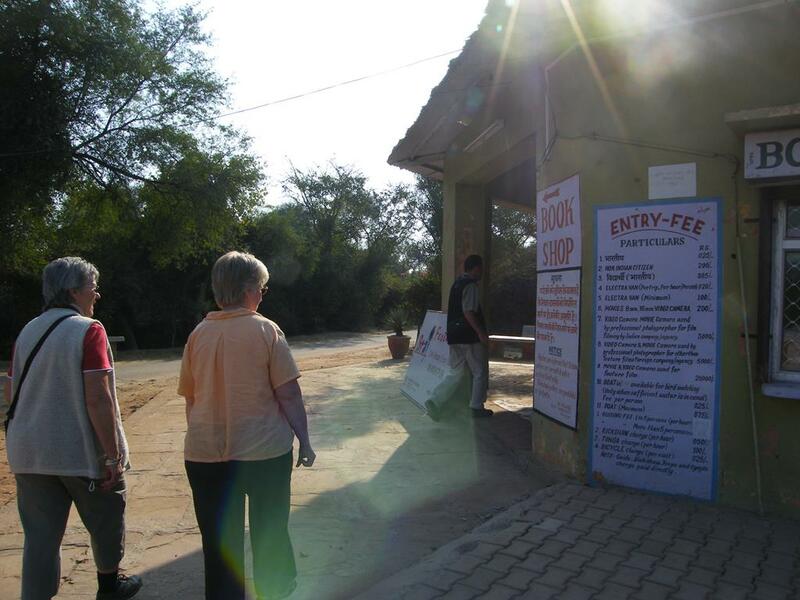 It transpired that we were required to pay per day. 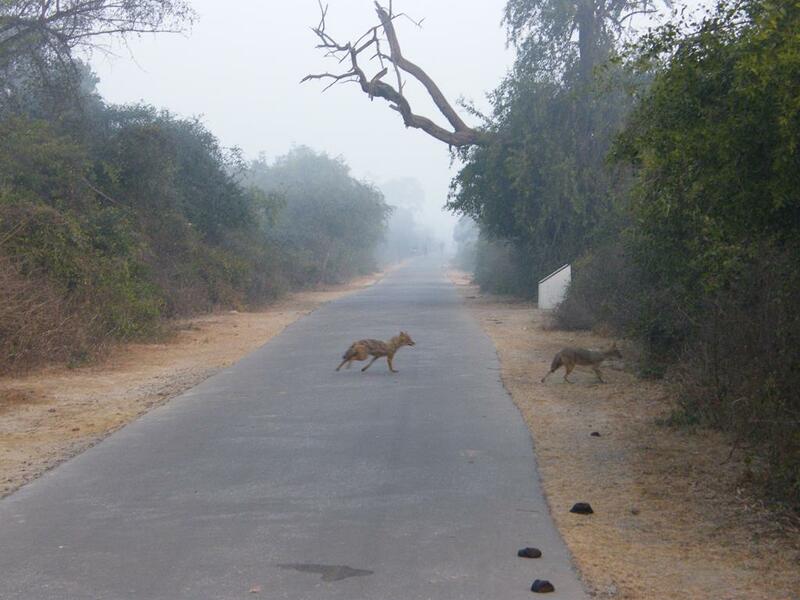 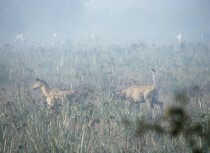 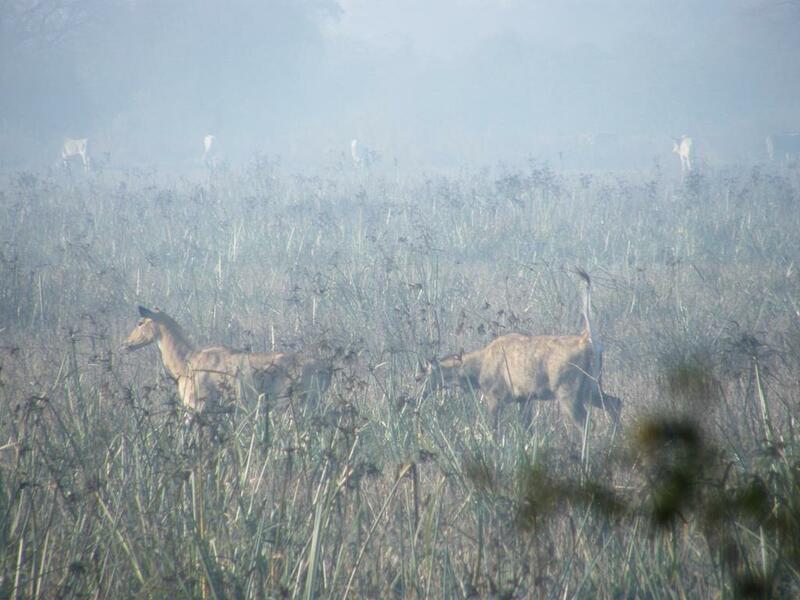 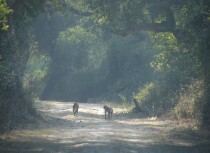 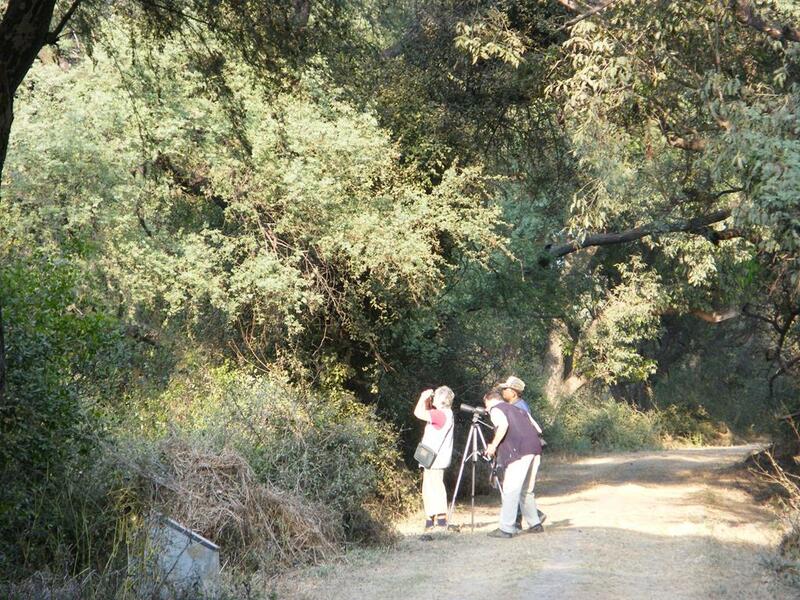 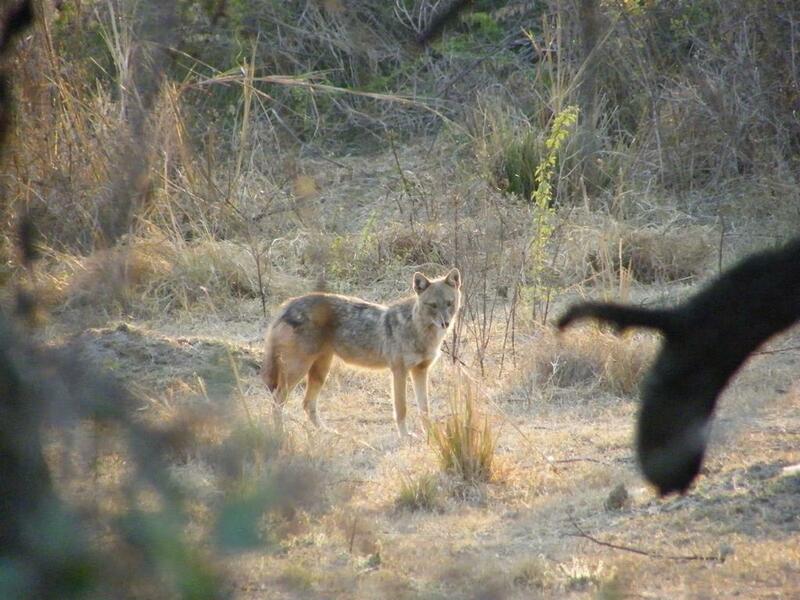 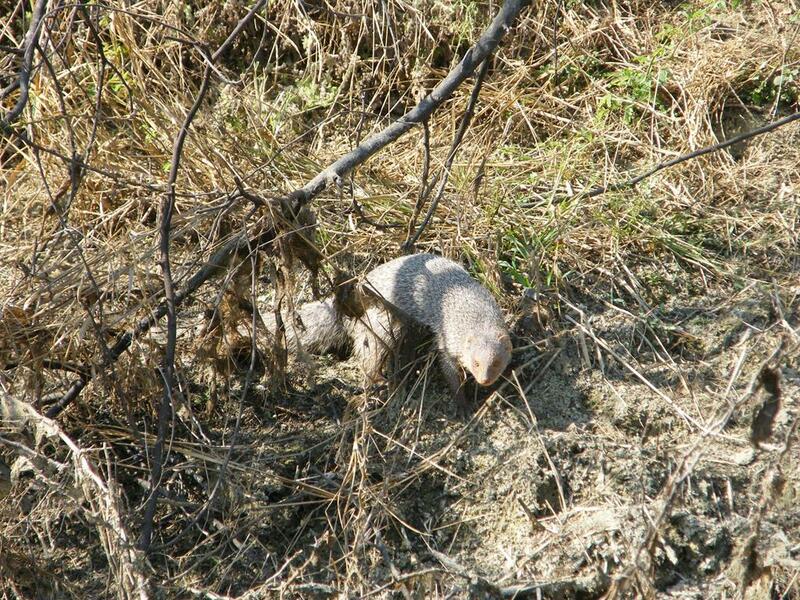 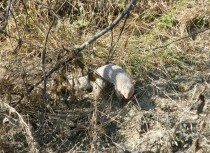 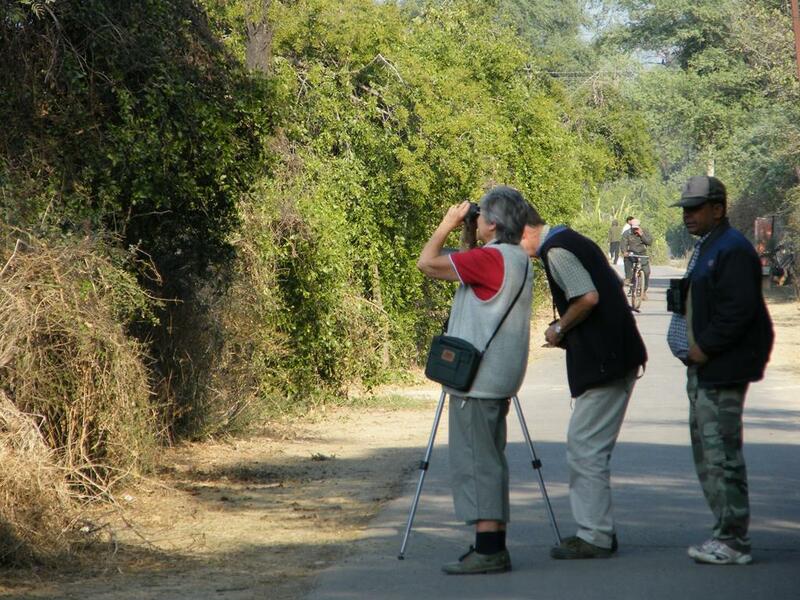 The Bharatpur National Park has Jackal, which were fascinating to see and hear especially their howling. We bumped in to them late in the evening, early in the morning and middle of the day. There appeared to be a number of packs which howled at each other in a peculiar way. 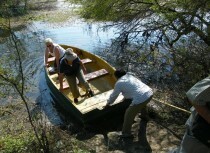 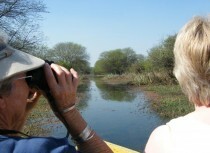 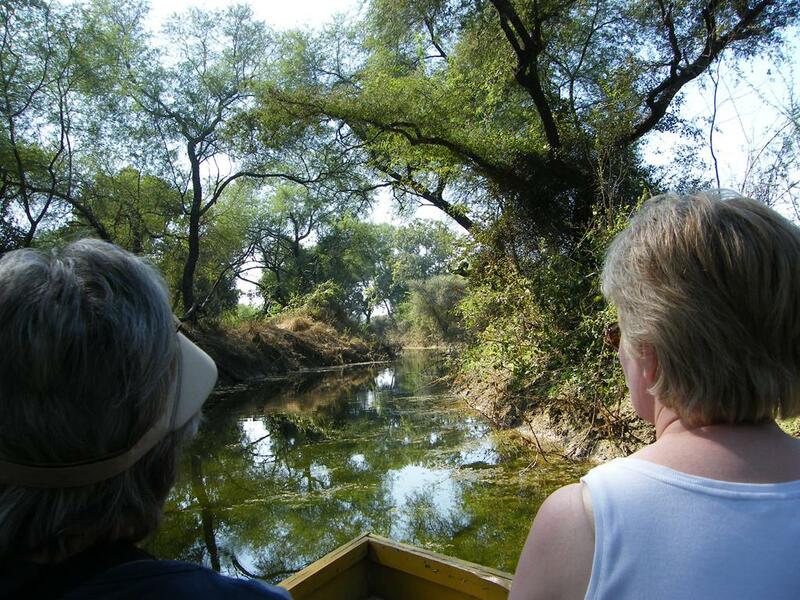 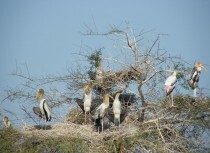 The Bharatpur National Park boat trip was very inexpensive at 25 rupees per person and highly recommended. 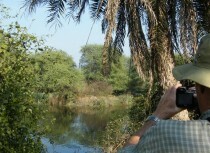 Besides a whole lot of birds we saw, we also had close encounters with the Jackal drinking at mid day, a large eagle that literally sat 5 feet above our heads and we went underneath his branch, Indian mongooses, wild boar, antelope in the form of Nilgai that live in the park, also a monitor lizard which the boatman pointed out to us. 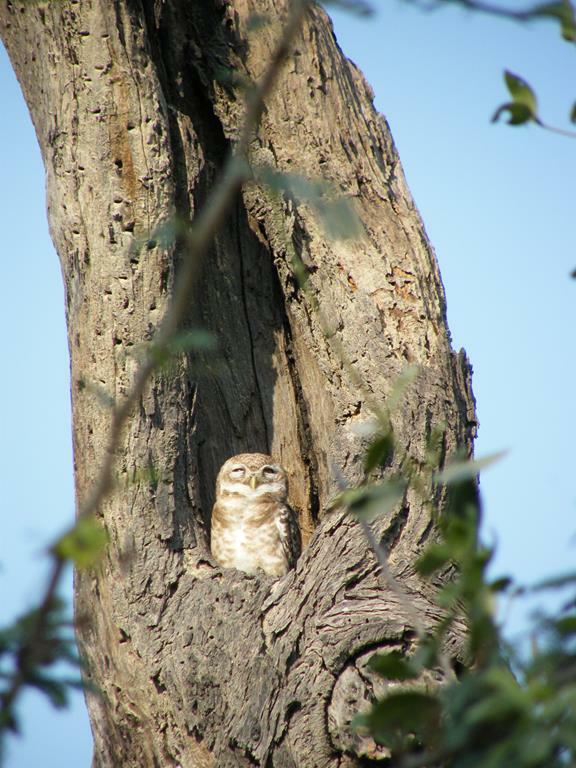 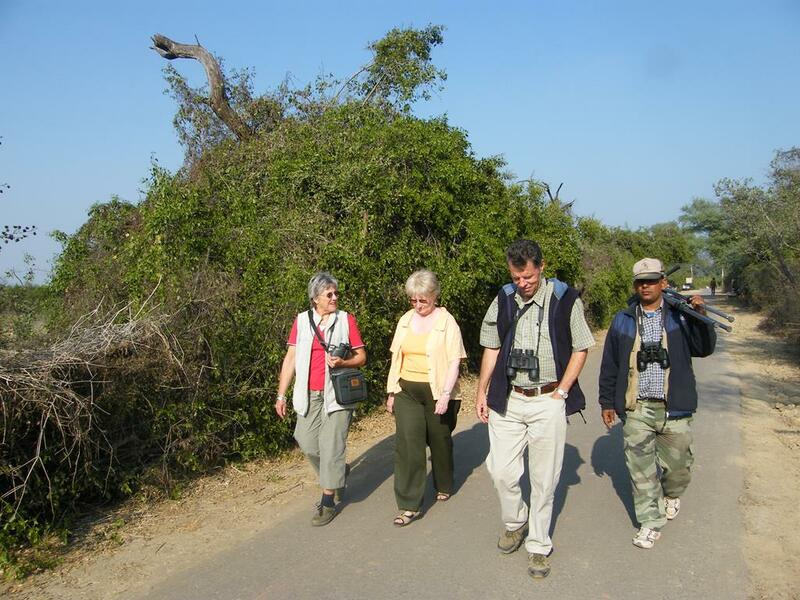 The Bharatpur National Park is a great way to unwind for a few days at your own pace with lots of routes to walk or be carried along by rickshaw drivers who have a good knowledge of the wildlife and will point out locations where you will find birds such as owls hidden away. 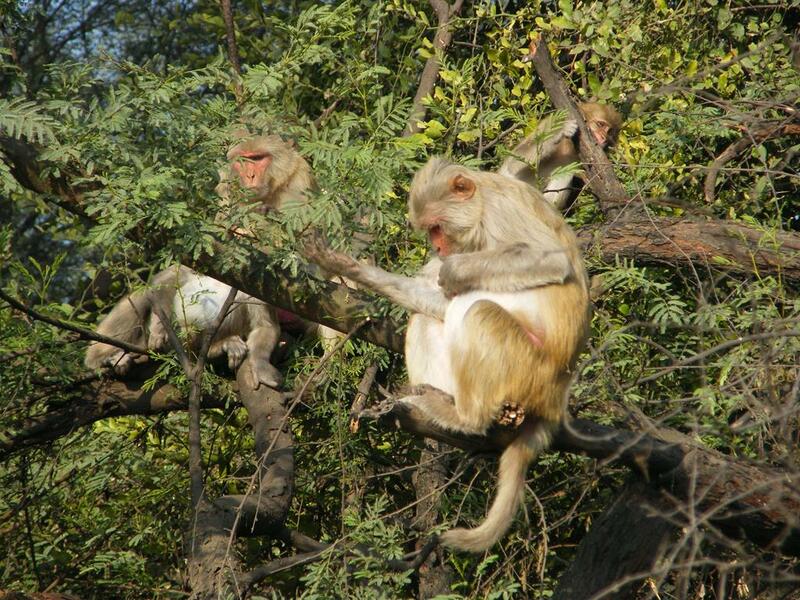 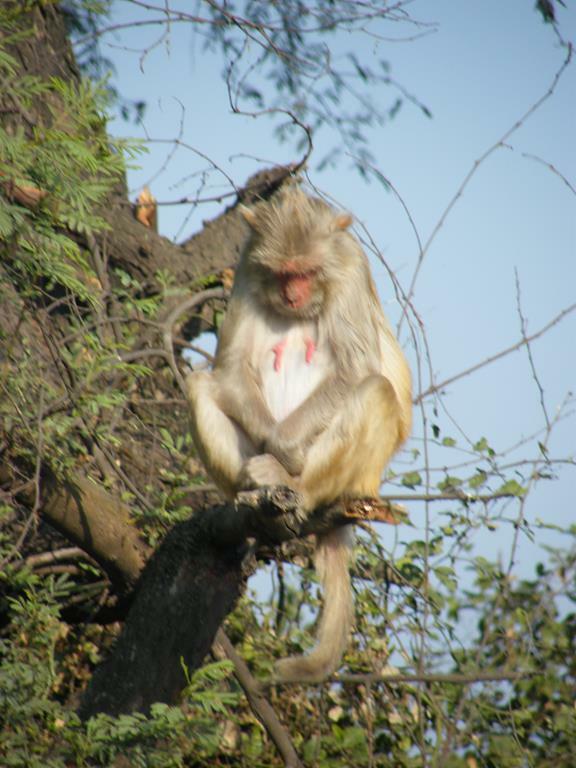 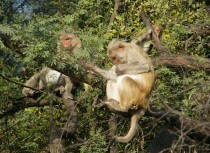 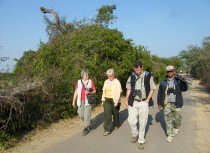 We thoroughly enjoyed our stay at Bharatpur National Park.